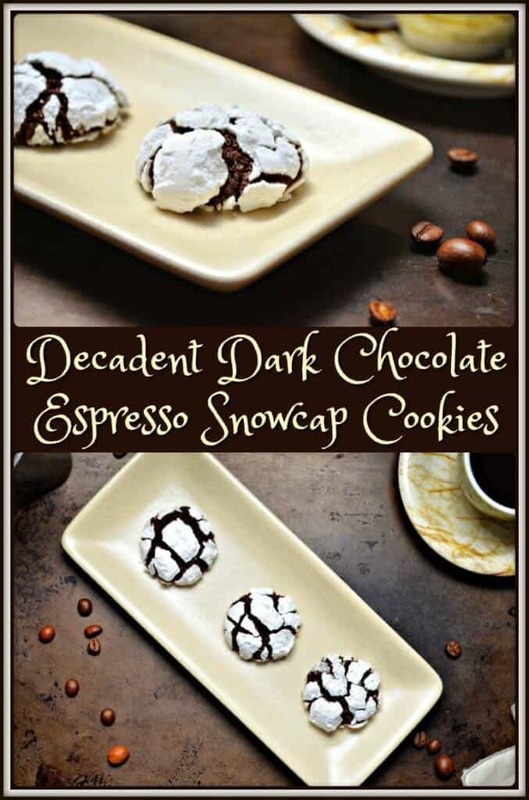 These Decadent Dark Chocolate Espresso Snowcap Cookies are so hard to resist! As you can probably imagine, this was not a cookie of my childhood, but it was definitely love at first sight (and at first bite!). Just by looking at them, one expects them to be decadent, smooth and silky. Expectations are a funny thing though, aren’t they? The holiday season is packed with expectations…these feelings of eager anticipation. All of the baking, the cooking, decorating the Christmas tree, exchanging gifts, the Midnight mass…all rituals with the expectations of recreating wonderful memories. It’s the time of year where people look forward to spending some time with those that mean the most to them. Opportunities to share those reliable family traditions that we all come to expect, whether we love them or hate them…they serve the purpose of eliciting emotions. As Leona says in Mystic Pizza, You don’t Monkey with Tradition! 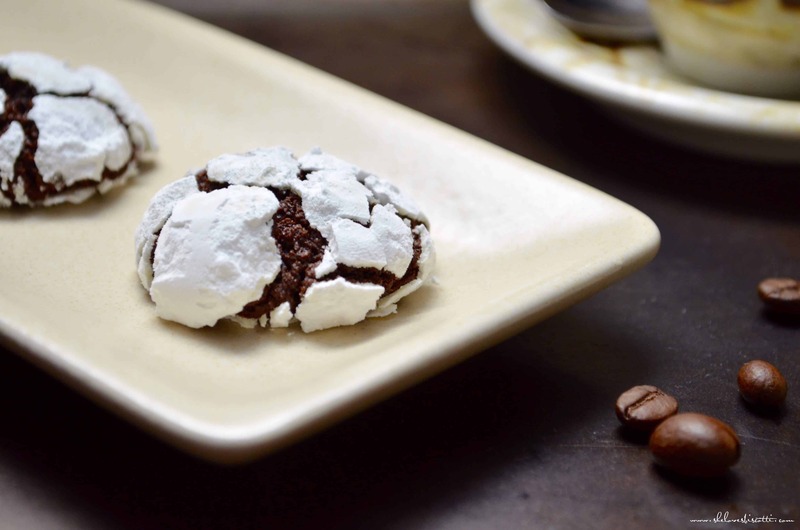 Along with my recipe for my Mostaccioli di mamma, this recipe for these Decadent Dark Chocolate Espresso Snowcap Cookies is the most requested by family and friends. 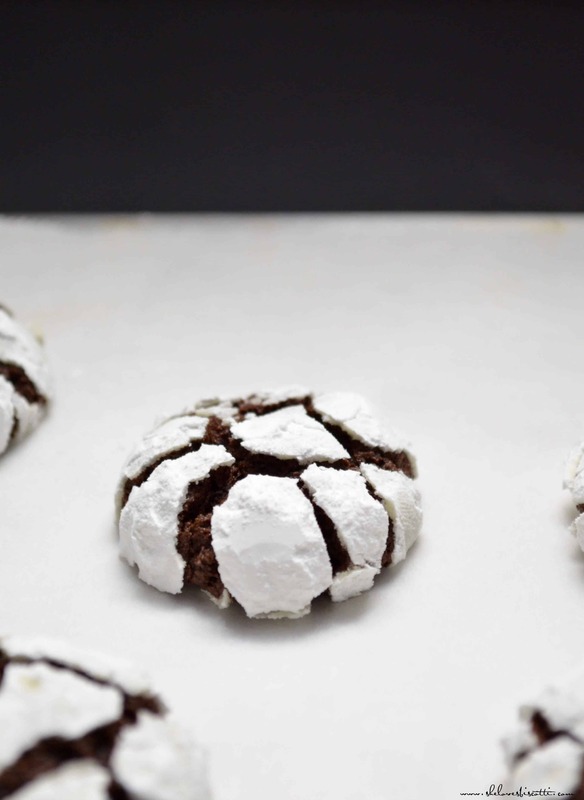 One year, I just didn’t have time to make these Decadent Dark Chocolate Espresso Snowcap Cookies in my annual bake-a-thon of cookies, and it nearly caused a riot! (Kidding.) But in all honesty, I had definitely underestimated how popular these cookies were. That was the Christmas I realized how important expectations were in keeping the balance of certain traditions and creating new ones. I found the recipe for these Decadent Dark Chocolate Espresso Snowcap Cookies in the October 2003 issue of Everyday Food, by Martha Stewart. I made no changes to this recipe… I never really thought it needed them! 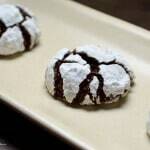 In my opinion, this is definitely one of the best chocolate snowcap cookies ever! 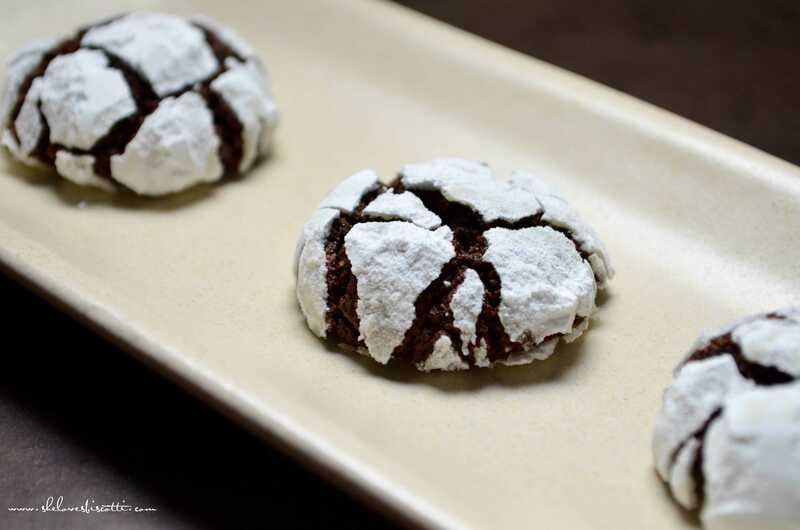 If you are looking for a new cookie to include in your holiday cookie platter and to create some wonderful memories, these Decadent Dark Chocolate Espresso Snowcap Cookies will not disappoint. This is definitely a coffee lovers’ cookie and a keeper! Enjoy! 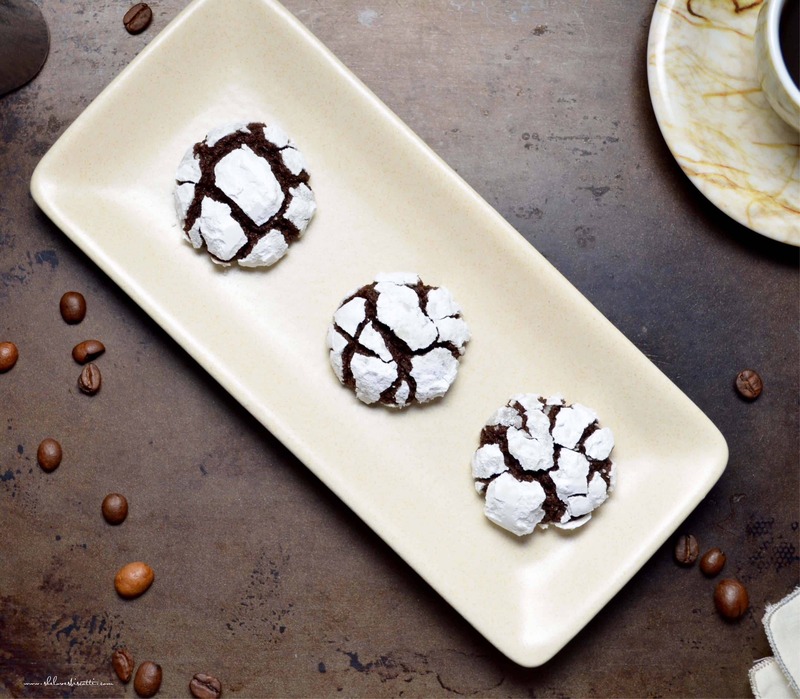 These Decadent Dark Chocolate Espresso Snowcap Cookies will not disappoint. This is definitely a coffee lovers' cookie. In a medium bowl sift together flour, baking powder, cocoa, espresso powder and salt. Set aside. Cream butter and brown sugar until light. I will usually use an electric hand held mixer. Add the cooled chocolate and mix until well incorporated. On low speed, gradually add the flour mixture and beat until just combined. Add the milk and once again, beat only until combined. Turn out onto a piece of plastic wrap. Shape into a flat 1/2 inch rectangle and place in freezer for at least 45 minutes. Preheat oven to 350 ºF/175 ºC. Place 1/2 - 3/4 cup of confectioners' sugar in a bowl. Cut square of dough into 30 (1/2-3/4 inch) squares. (I prefer small cookies, feel free to make larger cookies). Roll each piece into a ball and then roll in icing sugar. 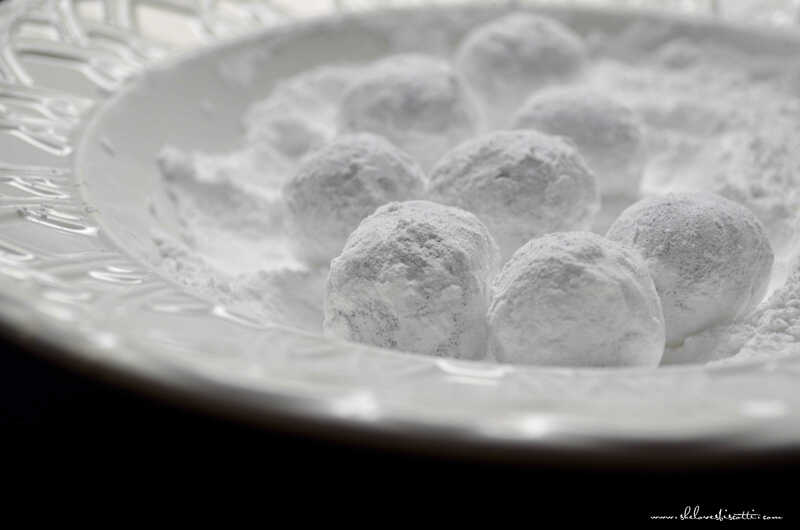 Ensure that each ball is thickly coated with the icing sugar. Place on baking sheet about 2 inches apart. Continue to roll until all of the dough is used. Cookies will be soft. Allow to cool down before transferring to wire racks to cool down completely.